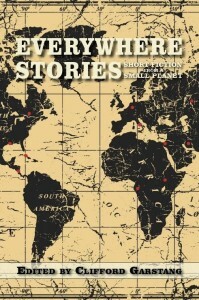 It’s Publication Day for Everywhere Stories! Today, October 1, is Publication Day for the new anthology. Click on the link above NOW to order the book from Amazon.com. Please. It’s a terrific book if I do say so myself, and I can say that because I didn’t write it. I did, however, curate and edit the book. I put out a call for submissions and then sifted through 650 short stories set in about 100 countries. Somehow, I narrowed my choices down to these 20 stories set in 20 countries by 20 well-traveled writers. Learn more about the book here. Please read the book. I don’t think you’ll be disappointed.